Love and greetings from Nairobi. Many things h appened since I wrote to you last time. 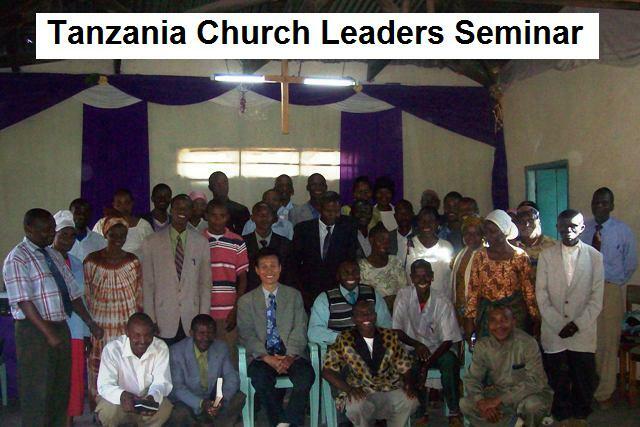 In September, Nicholas Alalia, Kenya Bible school director, and I travelled to Moshi to lead a seminar for church leaders serving our 9 congregations in Tanzania. We ministered to a group of enthusiastic church leaders for three days by sharing on the topic of successful leadership in series. Spectacular surroundings of Mount Kilimanjaro that we could see from every corners of the region kept reminding me how awesome our God is, especially for the grace He has shown us this year while we were going through depressing financial challenges. 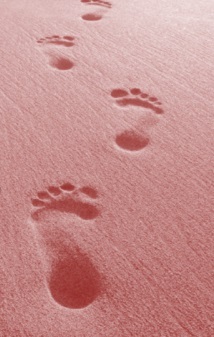 I was reminded of the famous story of footprints on the beach. It was as if the Lord was reminding me that he has carried us in 2010 when we were complaining why we could see only one set of footprints around us. In fact, many of us learned the priceless lesson this year that God’s work done in God’s way will never lack God’s supply just as Hudson Taylor once confessed during his own missionary works in China. I know, we grew and became mature as never before through those tough times. So did the mission outreach of EAPTC Africa this year. In spite of touch economy, a number of churches were blessed to purchase their own lands for construction. On October 24, we celebrated with Ngong (suburban Nairobi, Kenya) church members for buying a 1/8 acre land and managing to put up a temporary structure. On November 7, Mchinji church on the Malawi-Mozambique-Zambian border also purchased an acre-sized land. Soon the construction will begin as Mchinji church members keep giving toward the building project. EAPTC Tanzania also acquired a land of nearly one acre to build its mother church structure in Moshi town during the month of November. Glory to God! God has even led us to purchase a 1/4 acre land in suburban Nairobi in September for the purpose of building a model kindergarten. We appreciate those of you who gave sacrificially toward building projects by participating in the Matching Fund program to assist potential African churches with their land purchase and construction. Thank you for helping leave a lasting fruit of mission on the African soil! The seeds you’ve sown are growing and they will blossom to cover the entire Africa someday. 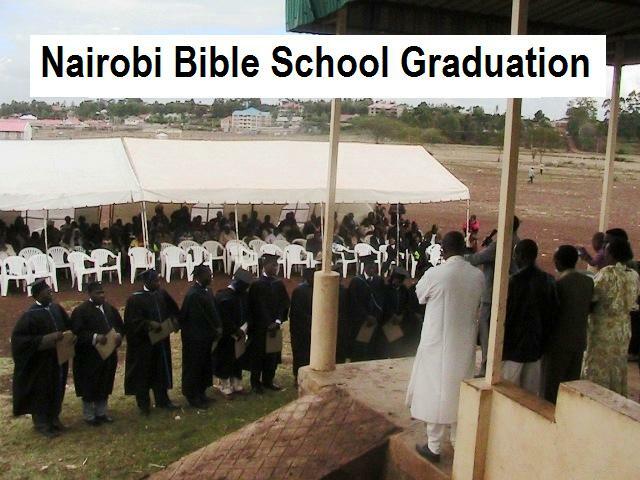 A number of Bible training center graduations took place around this time of the year again. 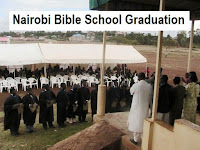 We had a dynamic 13th graduation ceremony of Nairobi Bible school on November 27 at the outdoor square of Ngong stadium. Despite extremely windy and even rainy weather, it was one powerful meeting where the Holy Spirit moved in the hearts of the graduates as well as the other gue sts. EAPTC produced by now 1,100 Bible school graduates, and most of them are proving to be the world-changers in their own capacities. Today they serve as bishops, pastors, evangelists, teachers, church planters and even missionaries. These brothers and sisters are the last world harvesters and very dream of God that we envisioned from the inception of EAPTC in 1996. More harvest of souls is expected as this Bible training ministry continues to make disciples in seven African nations. If interested, some of the recent Nairobi graduation highlights can be viewed at YouTube (https://bit.ly/2ymJD7S) . Also, for those of you who haven’t had a chance to read my contributing article to Lausanne World Pulse mission magazine on subject of multiplication of cross-culture discipleship, you can still read it at www.lausanneworldpulse.com/perspectives.php/1332 . (1) A strategic Africa leaders’ retreat will be held in Nairobi with EAPTC’s national leaders on February 8-11, 2011. We’re expecting leaders and co-workers from Kenya, Tanzania, Sudan, Malawi and USA. It will be a highly significant meeting in our mission’s history as our national leaders put their hearts and heads together to pave the indigenous road for future expansion. Kindly pray that this retreat will give EAPTC Africa a boost toward a greater unity and maturity. (2) Also, pray for our leader in Malawi, Moses Aringo, who is currently experiencing some complication on his missionary visa renewal. We give our faithful God thanks and glory for what He has done in 2010. We’re pressing on again to put behind what is past and to stretch ourselves toward what is in store for us in 2011. We’re dreaming greater things! The message is yet to be taken to other nations. May we all continue to hold of this vision of reaching Africa and beyond with the message of the cross. We trust God’s vision will protect us from temptations and motivate us to overcome difficulties along the path. And thank you for standing with us and partaking in this vision!